Join our social media community! 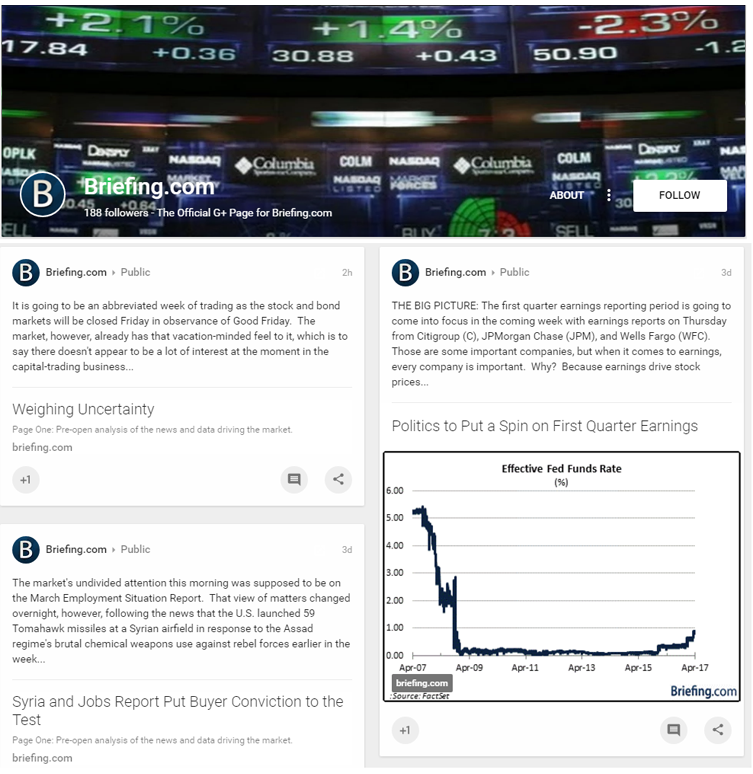 Get market updates in your Google+ feed and share with your followers! Simply visit our Google+ Page and click the "Follow" button to become part of the Briefing.com Google+ community.